Somebody else wins the contest or promotion for which we worked. We don’t have the resources to follow our friends into a college education. Our health problem has been limiting us for decades. It’s hard to watch our co-workers go jogging every day at lunch. We feel trapped inside, literally and figuratively. His trainer had planned to retire. He also had a bunch of failures behind him. The press had crucified him throughout his career. His owner was a housewife unused to the rigors of actually training a champion. She had to divide her time between her family of four kids on the West Coast and her father’s troubled farm, where Secretariat boarded, in the East. Secretariat himself came from a line of horses that were known to be strong on speed but short on endurance. He was not expected to enter even local races, let alone win any. That all changed in the mid-1970s. The magnificent horse overcame low expectations and an abscess on his mouth. He kept pushing and pushing and pushing... Finally, he was ready to go head-to-head with the most well-known racehorse in the country. He went for the Triple Crown, the trophy for winning all of the top three horse races in the country: The Kentucky Derby, The Preakness, and the Belmont Stakes. To compound the excitement, the three contests take place within a five-week period each year—in different states. No horse had won the Triple Crown in 25 years. Secretariat won. He not only took home the coveted prize, he beat the horse in second position at the Belmont Stakes by 30 lengths. His net worth was anywhere from $14 million to $23 million. In today’s money, that’s between $78 million and $128 million. Experts were absolutely stunned. They had never seen anything like it before. That race is the longest race in the circuit; over a mile long. Nobody had a clue where the horse found his stamina, but many people wanted a piece of it. Secretariat sired 600 horses. Enzo Ferrari had been making branded sports cars since 1947. He was a Formula One racing driver, and he made cars for other racers. The brand is still the top winner in the racing circuit, by the way. Feruccio Lamborghini was a customer of the racer, who owned a tractor factory. He suggested some design improvements to Ferrari. This infuriated the experienced entrepreneur. Ferrari sarcastically told him to go ahead and build a better car if he thought he could. Lamborghini accomplished that feat, at least according to some. That was in 1963. The rest is history. The Lamborghini brand has changed hands many times throughout the decades. Yet, it is still considered the pioneering force in rear mid-engine and rear-wheel drive. Lamborghinis are also known to be as sleek and powerful as they are comfortable. 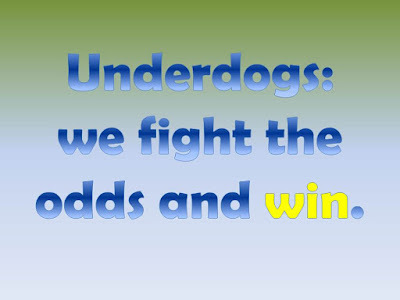 The underdogs can and do win! In such cases, the odds mean nothing, whether we’re talking about horses, cars, or people. How are you fighting the odds?